The GOAT of binge worthy shows is bringing another original to +Netflix US & Canada . 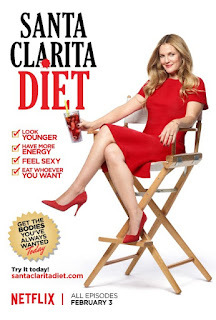 Santa Clarita Diet is the latest Netflix show that seems to be a horror/comedy being distributed on the streaming service. It stars Drew Barrymore and Timothy Olyphant as suburban couple that gets hit with some sort of zombie like virus that leads them to resorting to cannibalism. The show is set to debut on February 7 so we will have full review for you soon. Horror and comedy can work well together as most good horrors know not to take themselves too seriously, but can fail when it feels forced. Not all genres work well together and few can match the wit of The Evil Dead or Shaun of the Dead. 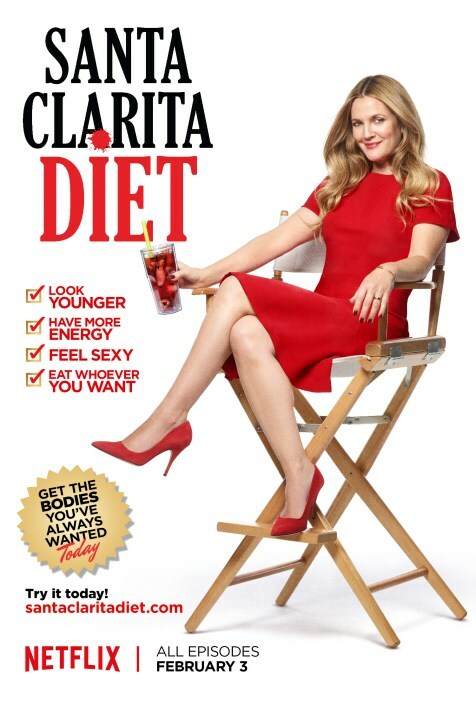 Be on the lookout for Santa Clarita Diet next month and we will give it a review once we get through it.